Wow, am I really the first one to post anything for today’s Free-for-All? That feels really weird, because usually I’m among the last (if not actually late). 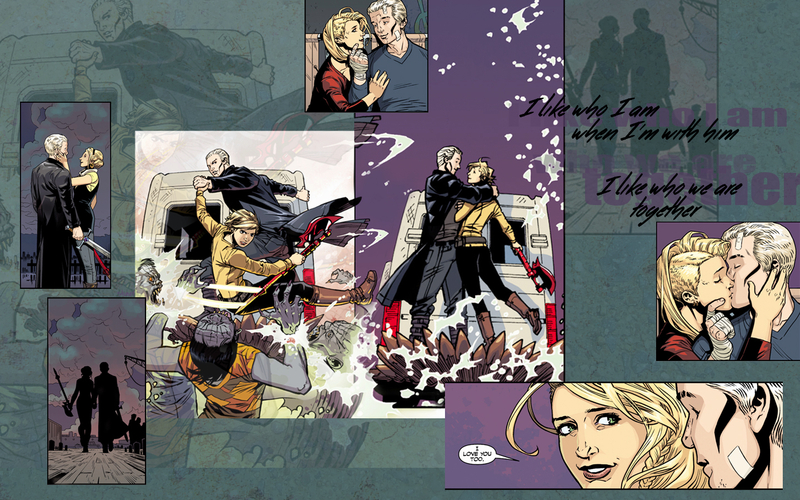 My contribution is a follow-up to my Summer Solstice one: a visual comment on the last issue of the comics season 12, reflecting where Spuffy is at right now. If you don’t want to be spoiled for the Season 12 comics, DON’T look under the cut!! 1. title – Five season 11 moments that were too cute. Below the cut….five season 11 moments, that were too cute. Spoiler alert: If you haven’t read S11 and you want to, you should probably skip this post.